Dr Annie Singh is a Lecturer in the field of statutory and constitutional interpretation at the School of Law. She holds a Bachelor of Laws (LLB) degree and a Master of Laws (LLM) from the former University of Durban-Westville (UDW) and a Doctor in Philosophy Degree (PhD) from the University of KwaZulu-Natal (UKZN) for her thesis entitled: The Impact of the Constitution on Transforming the Process of Statutory Interpretation in South Africa. She is involved in the supervision of Masters students’ and has attended a number of conferences – both nationally and internationally and has delivered papers on a host of different areas in law. Dr Singh’s research interests include the rights of vulnerable groups, which include women, children and prisoners and has also published in these areas of law. 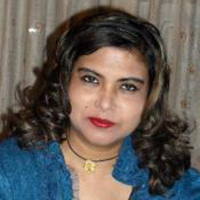 Dr Annie Singh specialises in statutory and constitutional interpretation. Her doctoral thesis was based on the area of constitutional interpretation and was entitled The Impact of the Constitution on Transforming the Process of Statutory Interpretation in South Africa. Not only has the Constitution transformed the process of statutory interpretation in South Africa, but it has also resulted in the emergence of a new jurisprudence. The research undertaken is significant, in that it provides a practical and a sound option in the form of a Deontic Theory which is postulated as the most favourable option to further the aims of social transformation and decolonisation in the current South Africa. Dr Singh has an interest in researching the rights of vulnerable groups, which include women, children and prisoners and has also published in these areas of law. She is currently involved in the supervision of a number of Master’s and Doctoral students and has been instrumental in assisting students with the publishing of their dissertations. She has attended a number of conferences – both nationally and internationally and has delivered papers on a host of different areas in law. The following are among the most recently attended conferences at which papers have been delivered. These include the: Internationalization and Globalization Conference in India. Paper delivered on Women in the Workplace – A South African Perspective (July 2016). Delivered a paper on The Role of the Academic in a Transformed South African Society at the 10th Annual Teaching and Learning Conference (September 2017).